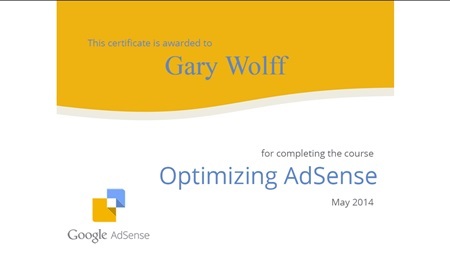 This page shows archived posts for Gary J. Wolff's blog from July-September, 2014. Today about 550 police, firefighters, and Self-Defense Force personnel have resumed a rescue operation for climbers trapped on a volcano that erupted yesterday shortly before noon. Mount Ontake, elev. 3067m (10,062 ft), Japan's 14th highest mountain, straddles Nagano and Gifu prefectures in central Japan. About 230 climbers, many on the peak to view the beautiful fall foliage, & mountain hut workers have made their way down since the eruption. One female hiker has died, 42 others were injured, and some 40 people are still taking shelter in 4 huts. Seven more people are still unconscious and 6 remain buried under as much as 50 cm (~20 in.) of volcanic ash. Officials at the Japan Meteorological Agency said clouds of debris flowed more than 3 km down the southern slope and warned that large volcanic rocks could fall within 4 km from the craters. Eruptions were continuing as of 5:50 AM on Sunday and entry to the mountain has been restricted. Interestingly, as one of Japan's 25 highest peaks and its 2nd highest volcano, I had the pleasure of climbing Mt. Ontake-san 13 years ago under calmer conditions. 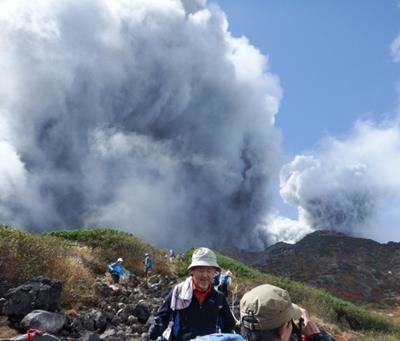 In Japan, it's not that uncommon for climbers and tourists to be caught up in volcanic incidents. In 1979, 3 people died and 11 suffered injuries in an eruption of Mount Aso in Kumamoto Prefecture, southwestern Japan, which sent huge rocks into the air. Two tourists died in 1997 after inhaling volcanic gas near the crater of Mount Aso. In that same year, 4 hikers died after breathing in gas on Mount Adatara in Fukushima Prefecture, northeastern Japan. 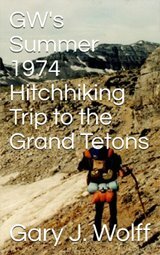 On June 3, 1991, Mt. Unzen, a volcano on the southern main island of Kyushu, erupted violently and claimed the lives of 43 scientists and journalists. 30:32 HUGE mansion @ 4528 Oleander St. in Bellaire, TX. This 14,620 square foot (1358 sq. m.) single family home has 7 bedrooms, 8.5 bathrooms, and is valued @ $3.8 million. To describe my 17 days in America as "magical' would be the understatement of the year. Meeting up with some of my most favorite people for the first time in nearly 3 decades warmed my heart & soul. 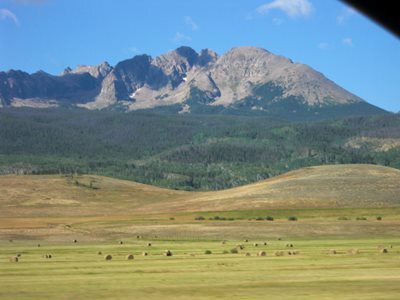 Besides hanging out mostly in Houston and joining in on a number of Mom's senior citizen activities, I was able to make a side trip to Colorado's beautiful Rocky Mountains as well as a return trip to the stunning, 263-acre Windlinger Ranch in the Texas hill country, both of whose pics I decided to put in separate photo albums. I sincerely hope they will allow you a quick glimpse & appreciation for some of the amazing scenery that I was blessed to experience. My video is posted above! I believe #6, tripod & shutter cable, is my favorite! My website is about to celebrate its 5th birthday, and for the past couple years or so, I've been toying w/ the idea of adding an "About Me" page to my website, but always kept procrastinating 'cause it seemed so self-serving. But recently I heard from Kim Komando, America's digital goddess, that having an About Me page is very important to the Big G watchdog of cyberspace in ranking webpages in its search results. Hmm. Then I got to thinking that this sort of page could possibly answer the same kinds of questions that inevitably first come up in conversations here with students and new friends...like how I ended up in Japan, what's my background, interests, hometown, and what's my life in Japan like. So....believe it or not, I finally got a (round tuit). 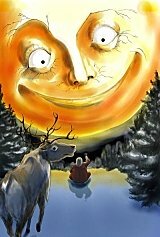 Honestly speaking, it's fairly boring reading, but if you were ever at least a tiny bit curious about these questions I'm sure you've laid awake at night wondering about...ha-ha...then I hope you'll have time to read my very LONG story! 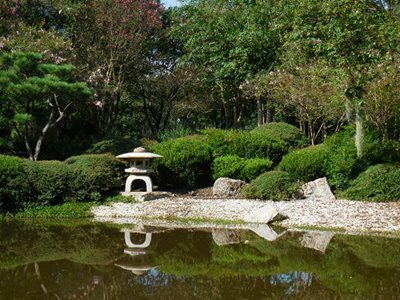 Tokyo is NOT a city: Generally regarded as a city, Tokyo (東京), the capital of Japan, is actually one of the 47 prefectures, the equivalent of a U.S. state. Tokyo includes 23 special wards, 26 cities, 5 towns, and 8 villages, each of which has a local government. 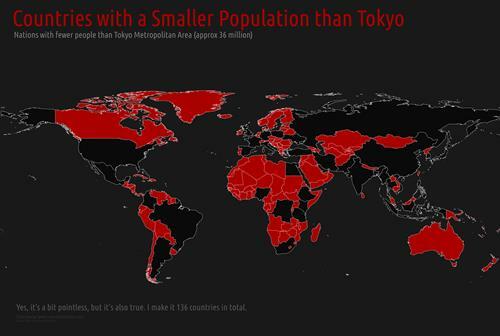 Thus, the Tokyo Metropolitan Government is headed by a governor, not a mayor. Tokyo also has a string of numerous outlying islands, which extend as far as 1,850 km (1,150 mi) south from central Tokyo, including the beautiful Ogasawara Islands. Nicknamed "The Galapagos of the Orient" (due to their extremely rare flora & fauna), these islands were designated a natural World Heritage Site in 2011 & include Iwo Jima, site of the famous World War II battle. 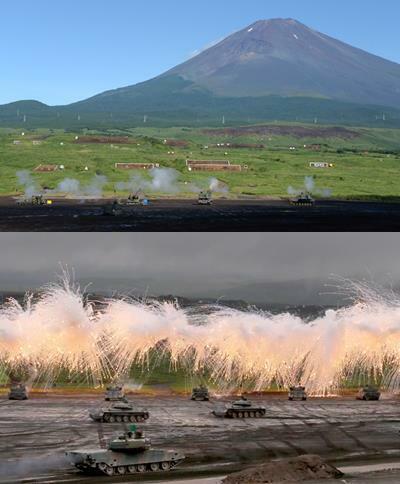 Professor Alasdair Rae, senior lecturer at the University of Sheffield, Sheffield, U.K.
On Tues. August 19, 2014, Japanese Ground Self-Defense Force soldiers began their annual live-fire training exercises at the Higashi-Fuji training field in Gotemba, near the foot of Mt. Fuji, a World Heritage site and Japan's holiest & most revered mountain. A total of 2,300 personnel, 80 tanks and armoured vehicles, 20 aircraft, and 600 vehicles participated in the exercises, just 100 km southwest of Tokyo. Fighter jets, attack helicopters and tanks, guided missile systems, and other artillery fired at targets at the base of Mount Fuji, where soldiers demonstrated tactics to fight off foreign invaders. Japanese Ground Self-Defense Force soldiers also practiced paratrooper landing drills, and rappelled down from UH-60 Black Hawk helicopters. Defense officials said the exercises, which last until Sunday, are aimed at showcasing Japan's ability to repel a hypothetical invasion of far-off Japanese islands. Japan's military role is now expanding at home and abroad under the administration of Prime Minister Shinzo Abe, which last month approved a reinterpretation of Japan's war-renouncing constitution to allow the military to defend its allies abroad....most notably the United States. Mt. Fuji is one of Japan's "Three Holy Mountains" (三霊山, Sanreizan), along with Mt. Tate and Mt. Haku. To protect Japan's cultural heritage, Fuji-san has been designated by the government as both a Special Place of Scenic Beauty (特別名勝, tokubetsu meishō) and a Special Historic Site (特別史跡, tokubetsu shiseki), and was added by UNESCO to the World Heritage List as a Cultural Site on June 22, 2013. The summit has been thought of as sacred since ancient times and was forbidden to women until the Meiji Era. Working as a university professor in Japan is definitely not a get rich quick scheme, but the beauty of the job is that you get a 2-month vacation TWICE a year. YAY! Right now I'm in the 3rd week of my summer vacation and loving it! Not writing any books this time nor climbing any Japanese high peaks like I normally do....just hanging out, tweaking my website a bit, and doing a LOT of cycling up and down the Edogawa riverside on sunny days. A few years ago while I was out on my mountain bike, I took a breather at the "Kaze o Kanjite" (風を感じて, "Feel the Wind") statue in Junsai-ike Park (じゅんさい池公園) in Matsudo, Chiba (千葉県松戸市). In the pic below, I'm in my usual attire, sporting 4 kg (~9 lbs) wrist weights on each arm. And for some reason, this month so far I've encountered an above average number of days with fairly strong headwinds. So I'm hearing the naked statue lady's message loud and clear, as I'm definitely "feeling the wind"! Habit No. 7 of Stephen R. Covey's The 7 Habits of Highly Effective People is called "Sharpen the Saw." It means that if we really want to be as effective as possible, we should continuously search out opportunities for self-renewal, self-care, self-respect, and self-improvement in 4 areas of our lives: physical, social/emotional, mental, and spiritual. I haven't always been that great at this sort of stuff, but so far this summer vacation, I'm doing the best I can. Life-long learning! 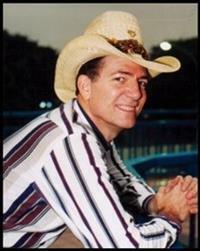 Yee hah!! 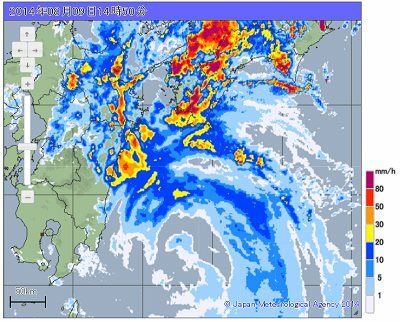 Right now Typhoon 11 is wreaking havoc on Japan during the beginning of the Obon holidays, the summer's busiest vacation period, disrupting travel plans nationwide. Flooding, landslides, nearly a million people evacuated, and hundreds of flight cancellations are causing many troubles. And one of the most shocking stats I just learned is that in the past 24 hours (as of 9:05 am Sun. 8/10), the village of Umaji-mura in Kochi Prefecture has received an absolutely shocking 859 mm (~34 inches) of rain. 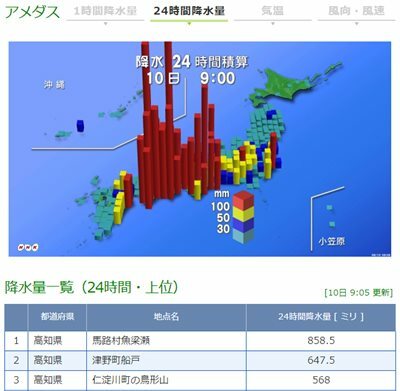 And since Aug. 1st, some parts of Kochi Prefecture have received over 2 meters (~6 ft. 7 in.) of rain. OMG! Please remember these folks in your prayers. 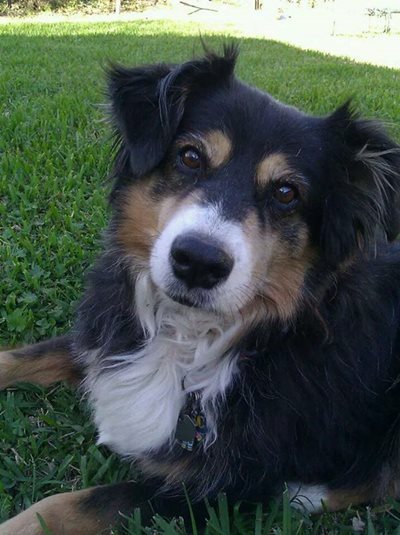 The video below is without question one of the most touching videos I think I've ever seen. The CNA English School's Speaking Exchange program connects students and seniors over the Internet, using an exclusive digital tool that uses video chat technology to bring Brazilian students face to face with Americans. It's a great chance for students to practice English and meet people with lots of stories to tell, as well as an excellent activity for elderly to feel active and make new friendships. It's a true win-win situation for all. BEAUTIFUL! This video shows the beginning and ending of the 30th Ichikawa Fireworks Festival held on Saturday, August 2nd. A total number of 14,000 fireworks were displayed this year and some of them were special fireworks to commemorate the 80th anniversary of the founding of Ichikawa City, Chiba. The fireworks display was held from 7:15 to 8:30pm along the Edogawa riverside, a 15-minute walk from Ichikawa Station on the JR Sobu line. Japanese audiences are always SO polite! I'm always impressed by the cordial applause & appreciation they show @ the end of these shows. 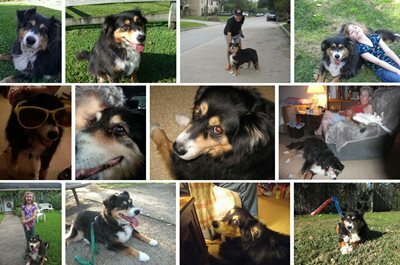 Mom just lost her best friend in the whole world, the loyal one who's been by her side thru thick and thin for at least the past decade. Your prayers for my mom, sister, and the rest of the family will be deeply appreciated. There's now a big, sad hole in their lives. A family went "fishing" down a small drainage ditch sometime during the summer of 2010 near the flooded Spoon River in West Central Illinois, USA. Upon their return home, they counted 70+ 5-10 lb. silver carp that had landed in the boat. 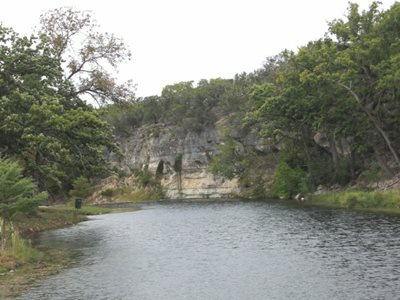 Now this is MY kind of fishing....no need for a rod and reel. A man in Topeka, Kansas, decided to write a book about churches around the world, but thought that the place to start, since he was American, would be the United States. With that in mind, he decided to fly to New York where he goes into the Cathedral of St. John, the Divine. He begins taking photographs, etc., when he suddenly spots a golden telephone on a wall with a sign, which reads "$10,000 a minute." Intrigued, he seeks out the priest and asks about the phone and sign. The priest advises him that this golden phone is, in fact, a direct line to Heaven and, if he wants to use it, he can talk directly to God. “Thank you very much,” he says and continues on his way. 71-year-old Yoshinobu Jitsukawa (實川欣伸) has climbed Mt. Fuji a record 1,673rd time! WOW! 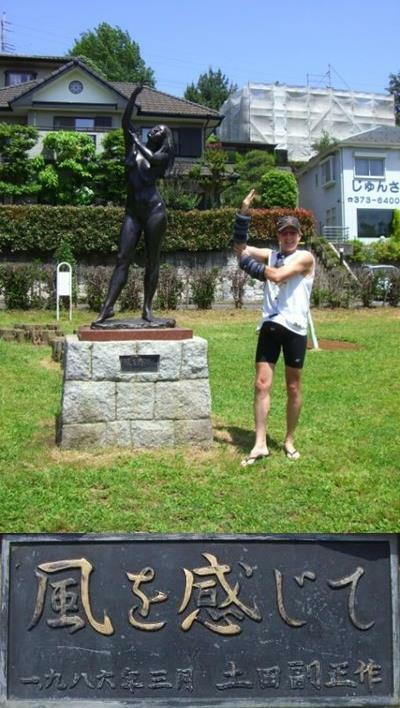 Jitsukawa, a resident of nearby Numazu in Shizuoka Prefecture, made his record climb up Mt. Fuji on July 16. He made his first ascent of Mt. Fuji in the summer of 1985 when he went with his family at the age of 42. He thought it would be a one-shot deal, satisfying his desire to climb the mountain at least once in his lifetime. But several years later he accompanied a Chinese trainee from his workplace up the mountain, and then got hooked. Jitsukawa uses his Mt. Fuji climbs as “training” for his much loftier goal of scaling each of the highest peaks on all 7 continents. He's already scaled 6 out of 7, including 5,895-meter Mount Kilimanjaro, the highest mountain in Africa, which he climbed at age 57. Having failed at Mt. Everest last spring after his party was forced to call it off due to a massive avalanche, he'll be giving Everest another shot next spring. Go Jitsukawa-san! Awesome. July 14, 2014 - SURF'S UP! LET'S HANG 20! More than 50 dogs competed Sunday in the 9th annual Petco Surf Dog Competition in Imperial Beach, California. Imperial Beach is a suburb of San Diego and is the most southern beach city in Southern California and the West Coast of the United States. A terrifying mudslide, brought on by torrential rains spawned by Super Typhoon Neoguri (named "Typhoon 8 (台風8号)" in Japan) which swallowed houses and killed a 12-year-old boy in the central Japan town of Nagiso in Nagano Prefecture, was caught on video Wed. July 9. SCARY STUFF!! Nationwide, Typhoon Neoguri killed 7 and injured scores, forced tens of thousands to seek emergency shelter, and was one of the strongest storms to ever strike Japan in July. Fortunately, here in the nation's capital we didn't even have strong winds or rain. 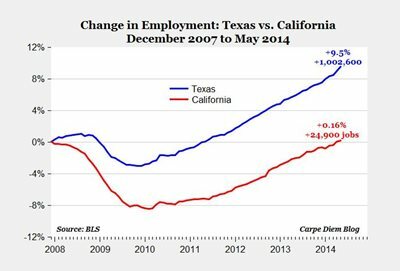 "Since December 2007, Texas payrolls have grown by 9.5% and by more than one million jobs through May 2014, while California employment has increased only 0.16% and by fewer than 25,000 jobs over that same period." What the #*%$@? 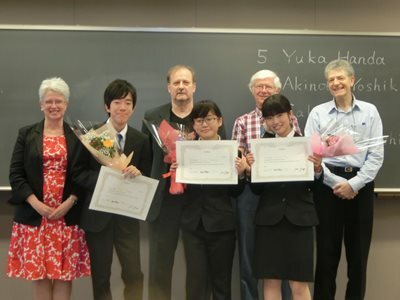 Yet ANOTHER speech contest? 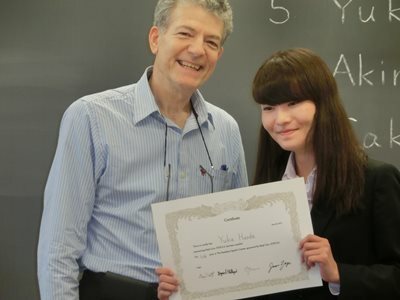 This university's ESS (English speaking society) holds 2 contests a year, and the 2nd one held in late June is a recitation contest just for college freshmen, where they recite from memory a famous speech from history, like JFK's inaugural address or Martin Luther King Jr.'s "I have a dream" speech. These kids were AMAZING!! July 1, 2014 - Mt. Fuji 2014 climbing season opens! It's official!! Mt. Fuji's main Yoshida Trail is now open. Around 100 Mt. 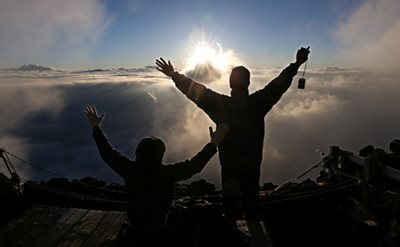 Fuji climbers greeted the 4:30 am sunrise from the summit this morning. 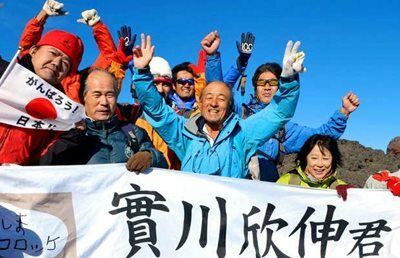 Climbing season for the main Yoshida Trail on Japan's highest peak and newest UNESCO World Heritage Site has now officially begun. What Japanese University Students Think About...?